Padraig Parkinson won the first ever UKIPT Galway poker tournament last night, winning nearly $182,000, making this the 7th World Series of Poker event that he has cashed in on. 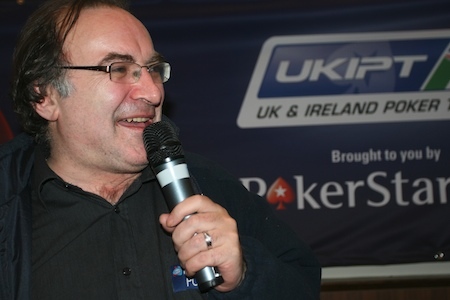 With the win, Parkinson wins the unofficial “Irish” title and a free seat at the English Poker Tournament — London next year. Never one to live up to a stereotype, Parkinson was feeling awfully good after his win: “I was born just down the road so I can’t believe that I won it.